1. I’m surprised they haven’t tried to capitalize on the members of The Shield working more one-on-one matches. They don’t ALWAYS need to be in a tag match to make their opponents (and themselves) look good. While there were a lot of rest holds in this match, it never felt like they were “resting” because they were blown up. Ambrose and Bryan are able to utilize their facial expressions so well that they keep you engaged despite the fact that they are just sitting in a chinlock. Plus a great finishing sequence. It was nice to see Bryan make someone tap since he’s been winning with the knee lately. The submission transitioned fluidly and suddenly that should help counter Randy Orton’s “out of nowhere” feel of the RKO. I was extremely surprised Dean Ambrose was able to finish the match so easily after that bad spill to the floor. I thought he must have sprained his knee or tore something. Here’s hoping it’s not too bad. 2. So even though Shawn Michaels has been on Raw the last 2 weeks, he’s never run into Triple H? The least they could have done is say that Triple H & Stephanie have been “too busy” to meet with him. Or anything, really. 3. It’s crazy to think that Dolph Ziggler’s 2013 is similar to Zack Ryder’s 2011/12. Both men rode an incredible build to their winning championships and then a mere month or two later, both men had lost their championships & never regained any momentum. If there’s any bright side to this sudden stop of Ziggler’s push, it’s showing how well he can still get a crowd behind him with just his performance in the ring. Just look at the finish to this match with Randy Orton. It was obvious that Memphis didn’t get the memo about Orton being the bad guy in this match but even with that, when Ziggler avoided the RKO and hit a dropkick, the arena jumped up ready for the three count. As an audience, we’ve been given no reason to believe Ziggler would get an upset victory, especially just days away from his opponent getting a WWE Title match but yet there’s just something about Ziggler that makes you believe he might pull off a win. With John Cena coming back, the emergence of Daniel Bryan and now Big E Langston as strong babyfaces, there’s less room for Ziggler to shine as a babyface. I’m curious to see what’s in store from him through the Rumble & if he’ll be featured at all at WrestleMania 30. 4. So how long will it be until the WWE starts referring to Tamina Snuka as the “9th Wonder Of The World”? If the WWE and Chyna mend fences, would Tamina then be the 10th? Anyway, I can see Brie picking up the win over AJ this Sunday. I thought they were going to pull the title change last month at Battleground but I guess they needed to get a couple more episodes of Total Divas out of the title chase. 5. That promo from Paul Heyman would have worked much better if the story was that Heyman was beginning to lose his mind because he is about to locked in the Cell with CM Punk. Instead it came off strange, out-of-character & too Ultimate Warrior-esque for my liking. 6. Loved the video package featuring Daniel Bryan and Shawn Michaels. If you ever want to get a babyface over, give him Shawn Michaels’ stamp of approval and he’ll be golden. Yes that’s essentially what they’re doing now except that the special referee/Authority storyline is getting in the way. 7. It really feels like Luke Harper has the ability to become a major “big man” for the WWE, basically a new Kane. My only questions lie in his versatility as a performer since I’ve really only seen this type of character as “Brodie Lee/Luke Harper”. Then again, Kane really hasn’t had to do anything TOO drastic to his character to remain somewhat relevant for a LONG time. 8. Remember when it was rumored that Big E Langston was going to be the next Paul Heyman guy and instead it was revealed to be Curtis Axel? I wonder how many people are second guessing that choice today. Either way, it’s nice to see the “real” Big E Langston on the main roster. He was as over as you can be in NXT as their biggest babyface showing great personality to go along with ridiculous athleticism. Look for him to pick up the Intercontinental Championship on Sunday. I really hate his finisher though. 9. Just a week after I mention it and the Rhodes brothers come out to their own “mashup” theme song. The triple threat tag match for the Tag Team Championships at the PPV is a smart move. We’ve seen The Shield & The Usos so often its starting to get stale and while the Rhodes/Shield matchup is relatively new, we’ve seen them face off numerous times in the last few weeks so the three-way freshens everything up. Plus with how these three teams have performed lately, it should be a pretty damn good match. 10. OK, yes that promo from Triple H did absolutely nothing positive for this match, the pay-per-view or who should be a top babyface for years to come, Daniel Bryan. But it wasn’t as bad as I was expecting. If you listen closely, he said that Edge, Chris Jericho and Rob Van Dam were top guys but not a “Stone Cold” Steve Austin. Not an Undertaker. Not a Rock. Not a John Cena. Not many people in the history of wrestling have been. Could Jericho and Edge have carried the WWE in the primes? Probably. Would the WWE have reached the peaks it did with The Rock & Austin on top? Probably not. And that’s not a shot at either of those guys, I think I’ve made it pretty clear in the past how much I respect Edge & Jericho and believe they are two of the best I’ve seen in my life but there are a ton of factors that play into someone becoming, for a lack of a better phrase, “the face of a company”. Austin and Rock hit their stride exactly when wrestling hit its stride as a whole. Right guys, right time, legendary results. So for Triple H to compare Daniel Bryan to Edge & Chris Jericho, I didn’t see that as a burial but as a reminder to the audience that there were guys Daniel Bryan’s size before that achieved A LOT & he can too. That said, this was the wrong time for this promo and thank God for Shawn Michaels being able to play the voice of reason in the segment. When you’re looking to get millions of people to pay $60 for a TV show, you want to give them a taste of what they want. This segment accomplished that in the final moments when Orton was laid out by Bryan (after the completely unnecessary arrival of the Big Show) but the final moments were completely overshadowed by what’s become a bigger story than it should be in Triple H’s promo. I’m looking forward to Hell In A Cell for a strange reason. Not for the matches, segments or title changes. I’m looking forward to the show because a lot of signs point to this PPV as being pivotal chapter in many of the current stories. I want a WWE Champion and I don’t care who it is. Get Cena back on TV so we don’t have to keep worrying about when he’ll make a “surprise” return. CM Punk gets Paul Heyman in a locked steel cage so Heyman can pay for his sins. 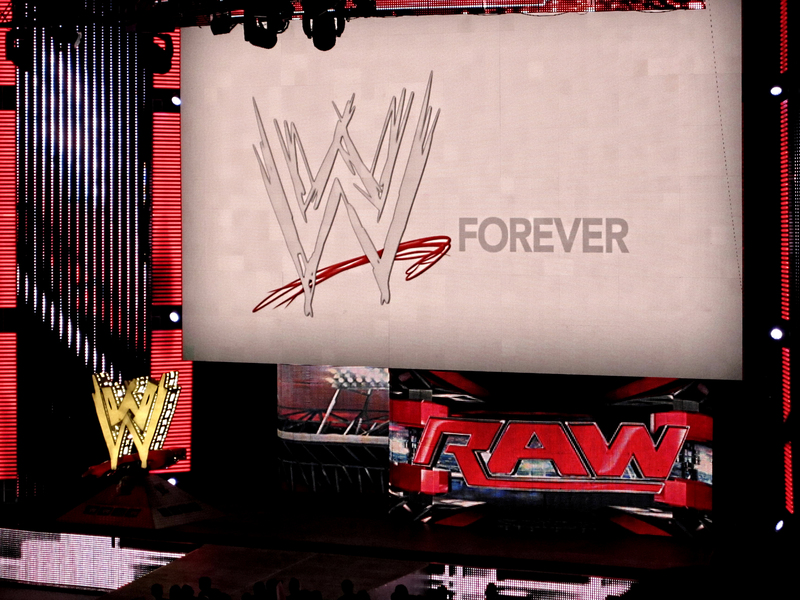 It’s time to turn the page away from the lackluster summer/fall and hopefully begin a new chapter of WWE programming that will tide us over until the Royal Rumble.